It is Food Allergy Awareness month. What better way to celebrate, than to sit down with the Chief Marketing Officer of Enjoy Life Food, Joel Warady for an interview. This Allergic Traveler is a big fan of Enjoy Life but an even bigger fan of Joel’s. 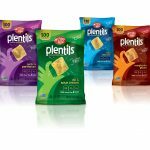 If you are part of the food allergy world, by now you have heard about the merger with Enjoy Life and Mondelez International. In case you have not heard, read more here. I am a big fan of Joel’s because he is so in touch with our food allergy community. When trying to set up this interview, I knew he would be readily available. I have approached Joel in the past on various topics and he has always been eager to help. I even tweeted him at Christmas time about an Enjoy Life gift package from my dad and he was as excited about it as I was. When Joel and I did speak, the first thing I said to him was “so there’s some talk about this merger thing. Some people are happy and some are not.” His response was “there are 197 vocal unhappy speakers right now.” I was blown away from the onset. For a CMO of a multi-million dollar company to be so in touch with his customers, whether his social media audience or not, is unheard of. It shows his concern for the brand but more importantly, it also shows his concern of food safety for his consumers. It is imperative to Enjoy Life that everyone understands that this merger does not mean change, it does not mean risk, but it does mean improvement and expansion. This merger has been in the process for months. It was very important to Enjoy Life and the founder, Scott Mandell, that there would be no compromise with their product. 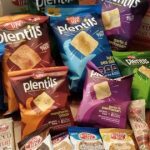 Their product will still need to be non-gmo, be free of the top 8 allergens, be manufactured in the same stringent facility, and carry the same promise. So what does this merger mean? Well, when a 36 billion dollar company is now backing you, it means that you can do a lot more! Enjoy Life will be sponsoring more events (trade shows, walks, etc.). They are looking at doubling their events from 150 to 300 next year. They will be looking to hire more fantastic employees in their Illinois location and across the US. See their openings here. They will also, in all likelihood, need to move in about 18 months. Finally, they will also be expanding their product availability on the market. What does that mean? It means specifically they will be targeting the hospitality industry, like hotels, hospitals, and the travel industry. When I heard this, I squealed. I really did! You all know how much I travel! Imagine if I could find Enjoy Life at the hotel convenience store at 3 am or if I could find their product in a vending machine as I pass through a closed airport. This would change this Allergic Traveler’s world. Don’t forget that Mondelez has an international footprint that Enjoy Life has not had. To this traveler, this was the best news of all with regards to the merger. Although I can appreciate why some may be skeptical about the merger, I think it is 100% unfounded. Unless you are at the facility, unless you are watching the changes on how the food is manufactured, than I do not believe you can’t be negative Nancy! 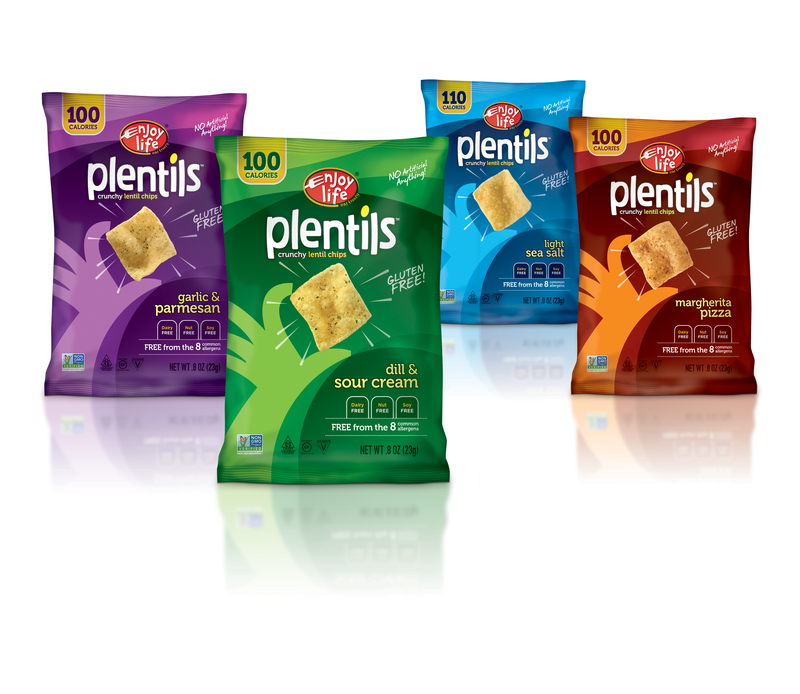 Scott, Joel, and Mondelez are committed to their product, their customers, and our safety. I think we owe them our support. Leave a comment on our blog about why you love Enjoy Life and do one social media action (like our Facebook page, retweet our post, like our Linkedin post, pin something on Pinterest or like our photo on Instagram). Any of these actions count but naturally those that do all of the above have better chances..just kidding..maybe…! Winners will be announced May 29. Good luck! 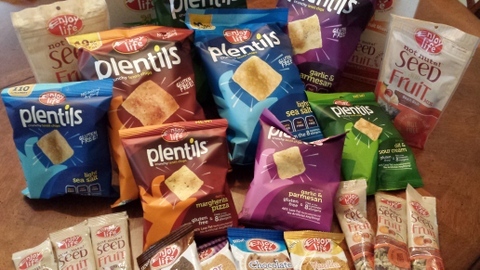 I love Enjoy Life Foods, and they hold a very special place in my heart, because it is the first food allergy friendly company I became acquainted with after discovering my son’s food allergies. Wow, that was a long sentence! But seriously, ever since I’ve learned about them, my son has been able to enjoy several flavors of “bars,” chocolate bars/chips, cookies, and now cereals. I understand change is difficult, but I have a feeling everything will be okay after the merger. I love Enjoy Life products so much! I love that I can pick up any of their products and know (without even reading the label) that they are safe for my little guy! My family LOVES Enjoy Life products! It’s so wonderful to find delicious snack foods that my 8 year old dairy/peanut allergic son can eat. He feels more “normal” to have snacks at school like his friends: cookies, “buttery” popcorn instead of bland plain, and the smore’s bars were a HUGE hit!! We just found the Mac and “cheese” but haven’t tried it yet. Can’t wait!! Thanks for such wonderful products!! We love Enjoy Life because they take the sting out of food allergies for my 2 year old. Little kids still don’t understand why they can’t have chocolate chip cookies or mac and cheese. Enjoy Life to the rescue! Maybe they would be interested in another great allergy friendly company….Sweet Alexis Bakery! You never know!!! Congratulations! We have a winner. Thank you to all that participated and thank you especially to Enjoy Life Foods. Our winner is …. Desiree De Nourie! Desiree – please contact tarah@allergictraveler.net to claim your prize.